My 2013 Reading Challenge @ Goodreads. Malin has read 14 books toward her goal of 26 books. As you can see, I didn't complete my 2013 Reading Challenge on Goodreads this year. Last year I completed my 2012 Reading Challenge goal of 25 books (I read 26 books last year) so I know I'm able to read way more books than what I've read this year. I can't say that I've been that busy this year either so I really don't have any explanation for why I didn't meet my goal of 26 books this year when I read that many books last year when I was busier since I was still studying. But at least I have read 14 books this year! You can find the complete list of the books I read during 2013 and how I rated them here. Since I didn't complete my 2013 Reading Challenge this year I will set the same goal of 26 books for my 2014 Reading Challenge. 436,757 Goodreads users participated in the 2013 Reading Challenge and 15,995 challenges were completed. You can read my 2012 Reading Challenge blog-post here. 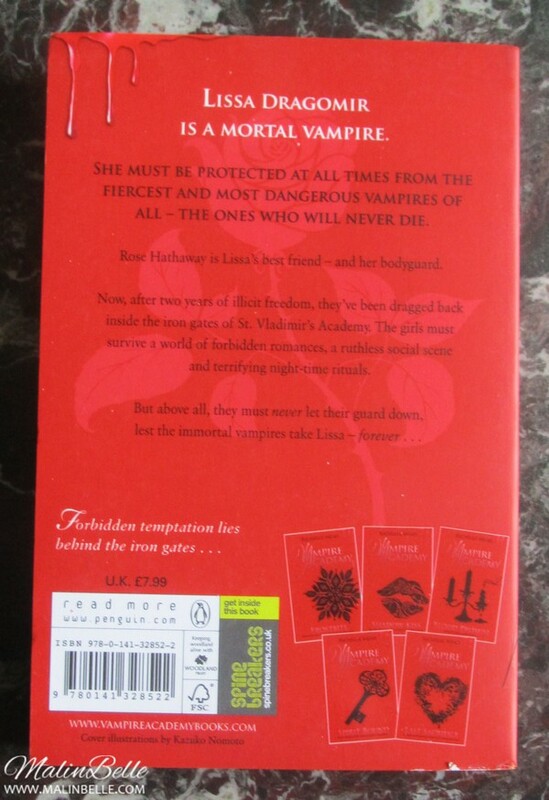 “Vampire Academy” by Richelle Mead . 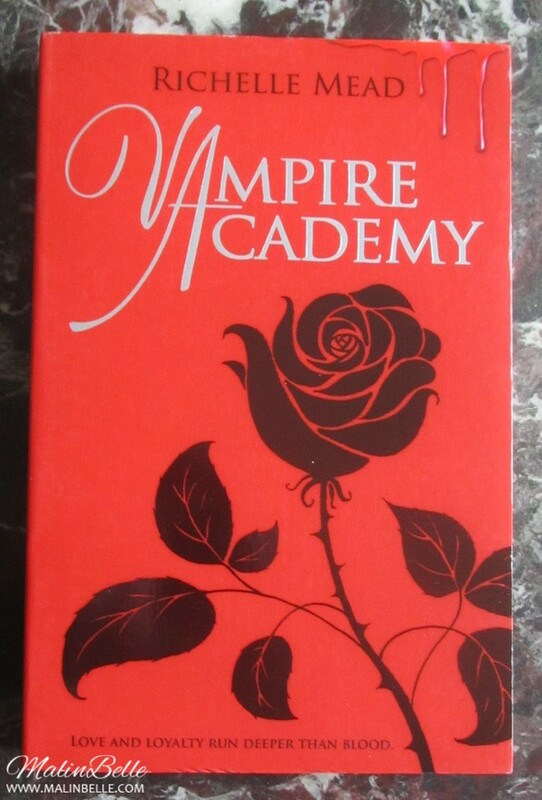 Today I got the first book “Vampire Academy” from the book series with the same name, written by Richelle Mead. I've known about the book series for some years now since the books are popular and the book genres are also some of my favorites, so the books have been on my to-read list for a while now. And now I've finally bought the first book in the series since I want to read it before the movie based on the first book premieres in 2014. 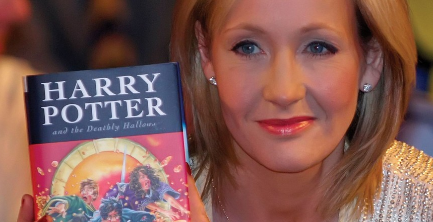 Warner Bros. announces expanded creative partnership with “Harry Potter” author J.K. Rowling! Warner Bros. announced on 12th September 2013 that J.K. Rowling would be making her screenwriting debut with “Fantastic Beasts and Where to Find Them”, the first in a new film series which is part of their expanded creative partnership with J.K. Rowling. The films will be inspired by Harry Potter’s Hogwarts textbook of the same name, and will feature the book’s fictitious author, Newt Scamander. “It all started when Warner Bros. came to me with the suggestion of turning “Fantastic Beasts and Where to Find Them” into a film. I thought it was a fun idea, but the idea of seeing Newt Scamander, the supposed author of “Fantastic Beasts”, realized by another writer was difficult. Having lived for so long in my fictional universe, I feel very protective of it and I already knew a lot about Newt. As hard-core Harry Potter fans will know, I liked him so much that I even married his grandson, Rolf, to one of my favourite characters from the Harry Potter series, Luna Lovegood. Although it will be set in the worldwide community of witches and wizards where I was so happy for seventeen years, “Fantastic Beasts and Where to Find Them” is neither a prequel nor a sequel to the Harry Potter series, but an extension of the wizarding world. The laws and customs of the hidden magical society will be familiar to anyone who has read the Harry Potter books or seen the films, but Newt’s story will start in New York, seventy years before Harry’s gets underway. City of Bones & City of Ashes. 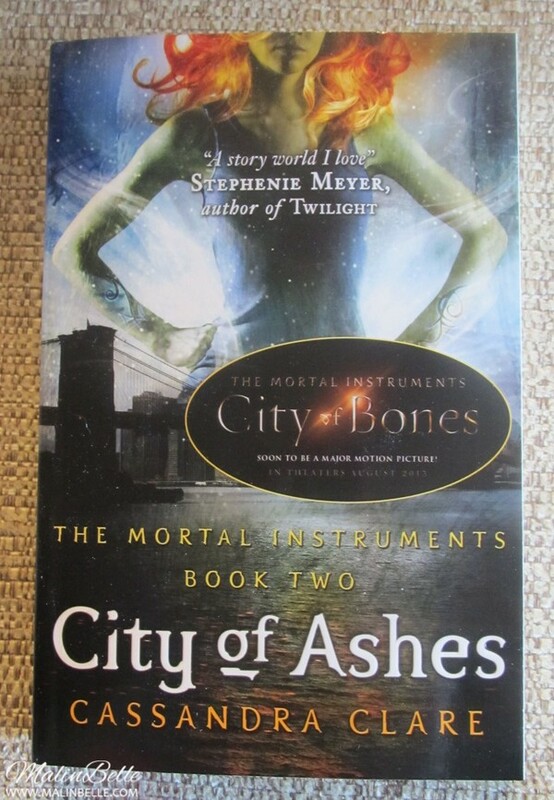 “City of Bones” and “City of Ashes” by Cassandra Clare. Today I got my package with the first two books from the book series “The Mortal Instruments” by Cassandra Clare. 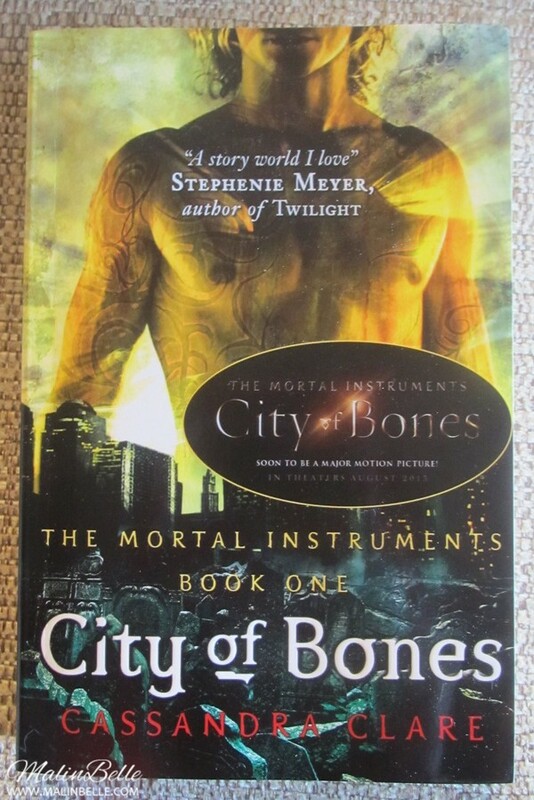 I ordered the books after I had seen the movie “The Mortal Instruments: City of Bones”. I really liked the movie and the story so of course I want to read the books as well, so I'm starting with the two first books in the book series. Hopefully they will start filming the second movie “The Mortal Instruments: City of Ashes” as soon as possible so it hopefully can be released in a year or two. 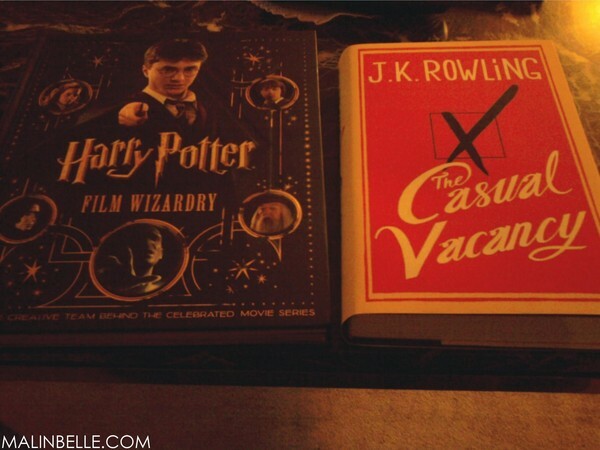 I have plenty of time to read the second book before the second movie will premiere. I will probably order the rest of the books from the series after I've read the first two books if they're as good as I expect them to be. If you haven't watched “The Mortal Instruments: City of Bones” yet I definitely recommend it to you! 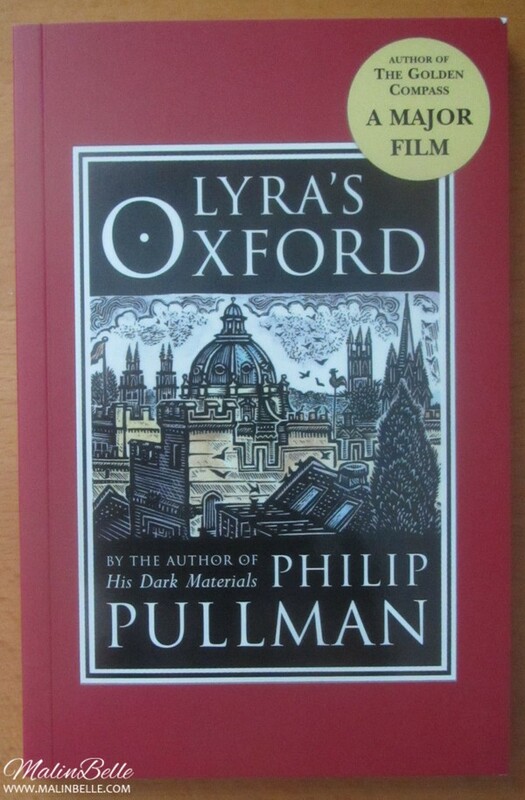 “Lyra's Oxford” by Philip Pullman. Today and yesterday I got 2 more books that I'd ordered; “Lyra's Oxford” by Philip Pullman and “Beauty” by Robin McKinley. “Lyra's Oxford” takes place 2 years after the last book in the “His Dark Material” trilogy and embarrassing enough I had no idea that any form of continuation of the book series that's one of my favorites was available. But of course I ordered this book right away when I saw it! 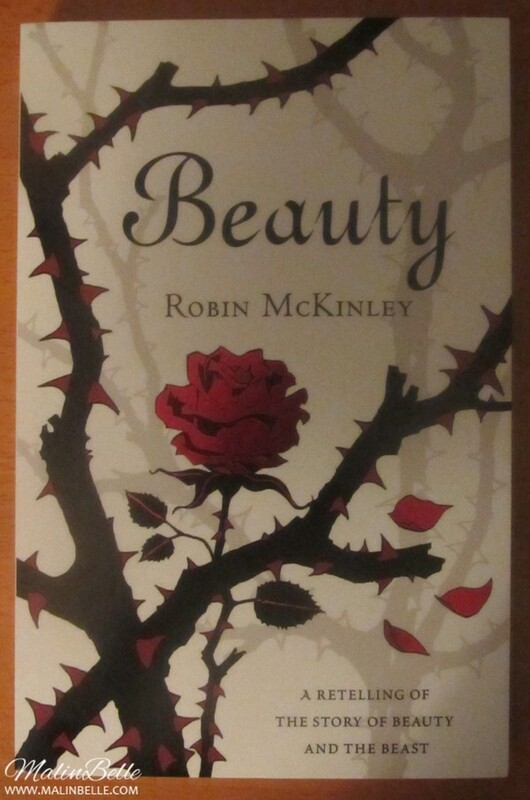 “Beauty” is a retelling of the classic story of “Beauty and the Beast”. I'm a big fan of the “Beauty and the Beast” movie and the history itself behind it so I wanna read every retelling book there is about “Beauty and the Beast” (I've already read a book), including this one. I also follow the new TV-series “Beauty and the Beast” btw and I can recommend it to everyone! Of course I started watching it because of its name and what it's based on but it's actually really good, which is why I've continued to follow it. You should see it if you haven't seen it yet! Now you also know what a big “Beauty and the Beast” fan I am! And I obviously look forward to reading this book. His Dark Material, True Blood & Earth Children. Today I got these 3 books that I'd ordered. 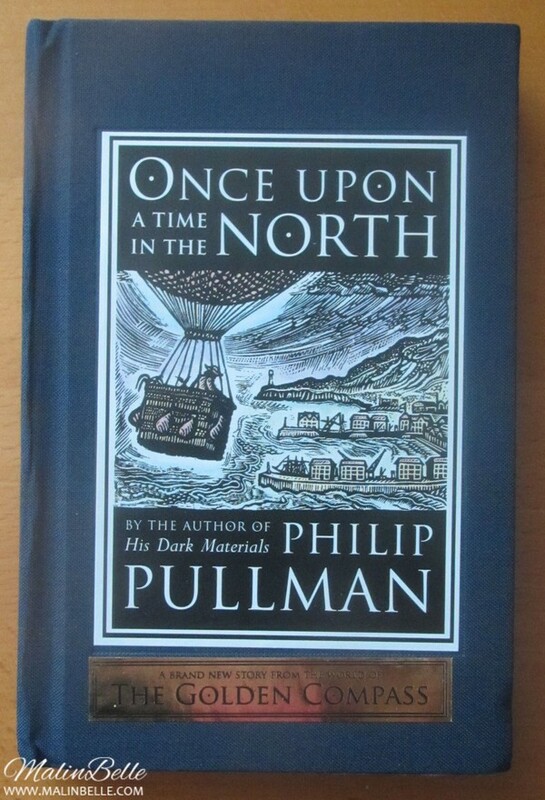 “Once Upon A Time In The North” by Philip Pullman. 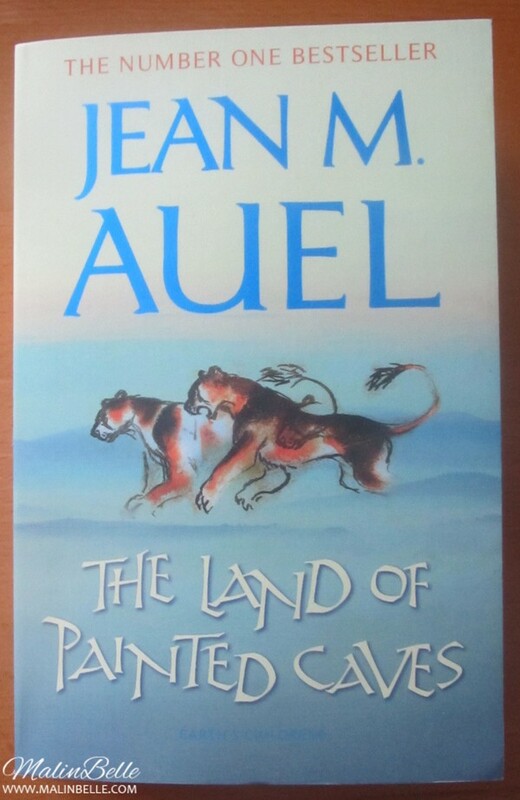 “The Land of Painted Caves” by Jean M. Auel. I've read and am a fan of these book series, i.e. 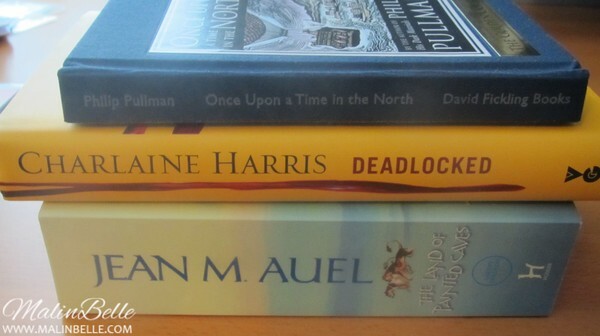 Philip Pullman's “His Dark Material” trilogy, Charlaine Harris' “Sookie Stackhouse” series and Jean M. Auel's “Earth Children” series. The first book I bought is a book about some characters from Philip Pullman's “His Dark Material” book series, so I bought it because I want to read more from that world since it's one of my favorite book series.The second book is the twelfth and second last book in the “Sookie Stackhouse” book series by Charlaine Harris.The third book is the sixth and last book in the “Earth Children” book series by Jean M. Auel.I look forward to reading them! Stephenie Meyer is writing the “The Host” sequel. Stephenie Meyer have announced that she's currently writing the “The Host” sequel. The novel will be entitled “The Seeker”. “The Seeker” has been rumored to be the “The Host” sequel for years but this is the first time Meyer has confirmed it. 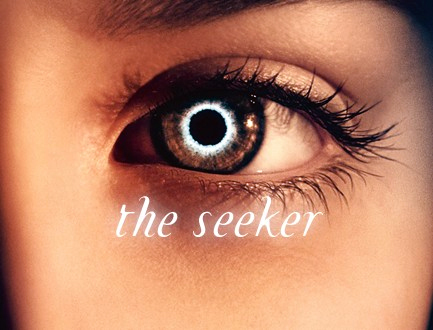 “The Host” has always been described as a trilogy with “The Seeker” and “The Soul” respectively being books 2 and 3. Meyer is currently touring the US with Jake Abel and Max Irons, the stars of the film. “The Host” will open on March 29. The Host - Featurette #3: Meet Wanda. Saoirse Ronan opens up about her character, Wanda, in this new featurette for “The Host”. “She [author Stephenie Meyer] kind of left it up to me, which was actually really nice, and I thought it was kind of an amazing thing for an author to do, because sometimes authors of books they, which is fair enough, they feel like this is their story and they should give advice when they can, but Stephenie was great,” the 18-year-old Irish actress recently told THR about her roles in the film. “The Host” opens March 29th! My 2012 Reading Challenge @ Goodreads. Malin has completed her goal of reading 25 books in 2012! 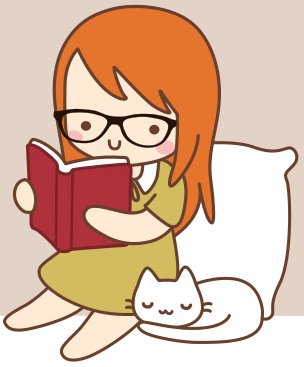 I've completed my 2012 Reading Challenge on Goodreads!I found the Goodreads website in the end of April this year. So, what is Goodreads? “Goodreads is the largest site for readers and book recommendations in the world. We have more than 12,000,000 members who have added more than 410,000,000 books to their shelves. A home for casual readers and bona-fide bookworms alike, Goodreads users recommend books, compare what they are reading, keep track of what they've read and would like to read, find their next favorite book, form book clubs and much more. Goodreads was launched in January 2007.” I think it was already May when I found out that you could do a Reading Challenge like this and of course I decided to do it. So I added the books I read between January-April and then continued reading during the whole year of 2012. You can find the complete list of the books I read during 2012 and how I rated them here. I don't think that 25 books are that much, but since I signed up on the website in the end of April and then started my Reading Challenge in May, I thought it would be best to be reasonable and think about how many books I thought I'd be able to read during the year so that's why I chose 25 books. Since I'm already an active member on Goodreads I can continue doing this Reading Challenge every year to make myself read more books and I probably will do this every year, or as long as I'm active on Goodreads anyway. But so far I've been active on it since April when I signed up and I really like to have a website where I can add all the books I've read and also add books I want to read and keep track of them.It's simply a really good website for people who love reading, which I really do! 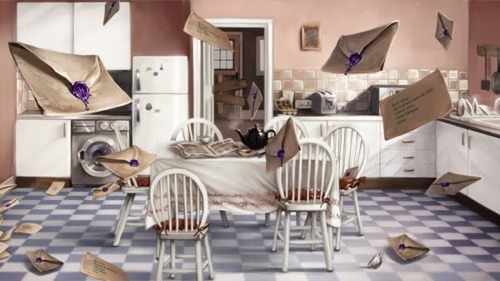 J.K. Rowling reveals which Pottermore house she's in! J.K. Rowling had a Harry Potter webchat streamed live online yesterday (it was the first in years), and she revealed which Pottermore house she was in and stood up for Hufflepuffs. ❝The house is… Gryffindor! In the web chat, a fan then asked what she has to say to people who are disappointed they’re in Hufflepuff. “Hufflepuff is my favorite house in some ways,” responded Jo. 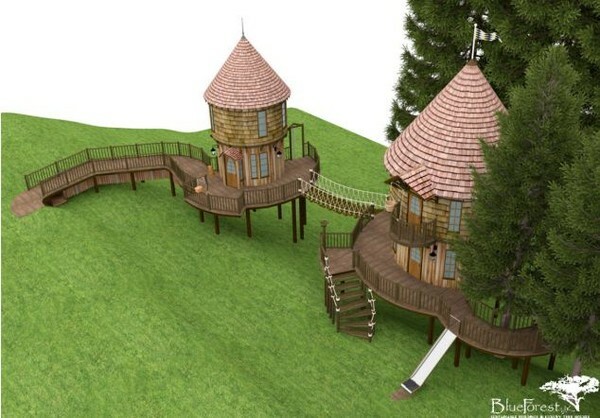 J.K. Rowling plans 40ft high treehouse for her children. ❝When the creator of Harry Potter decides to build an adventure playground for her children, you expect something magical. But even by JK Rowling’s standards the 40ft high, two-storey tree houses planned for the back garden of her Edinburgh mansion are something spectacular. The Hogwarts-style towers - estimated to cost around £150,000 - are so big that they need planning permission. Each wooden tree house is to be built on stilts and boasts balconies, carvings and turrets that wouldn’t look out of place in a Potter adventure. The towers are linked by a rope bridge and can be approached by a secret tunnel hidden underneath a raised wooden walkway. Plans lodged with the City of Edinburgh Council reveal the houses are intended for Miss Rowling’s two youngest children David, nine, and his sister Mackenzie, seven. According to the drawings ‘David’s Tree House’ is closest to the secret tunnel and has a specially designed trap door and fireman’s pole escape into the garden. Meanwhile ‘Kenzie’s Tree House’ has its own spiral staircase and a stainless steel playground slide leading to a double set of swings. A wooden walkway connected to the giant structure leads to a giant trampoline deck that is shielded from public view by a row of extra tall conifers. The design by the luxury tree house makers Blue Forest UK features cedar shingle roofs and a built in ‘nature box’ for birds to nest in. JK Rowling’s tree houses will only be built with timber from sustainably managed forests. Miss Rowling, 47, bought her 17th century mansion for more than £2 million in 2009 when she reportedly fell in love with it after viewing just two of its 31 rooms. She lives there with her husband Dr Neil Murray, their two young children and her 18-year-old daughter Jessica, from her first marriage. The property has been dubbed ‘Fortress Rowling’ by some because of its security fences and reinforced doors. Giant trees were lifted by crane over the garden walls to give the author and her family more privacy. Last year JK Rowling got planning permission to flatten a £1 million 1970s style house next door to make her garden larger. She also got approval to build a summer house that critics said looked like the stone hut inhabited by Hagrid, the giant groundsman from her best-selling novels. JK Rowling is worth around £560 million according to the 2012 Sunday Times Rich List. She is reported to have given away more than £100 million to charity. Blue Forest, based in Tunbridge Wells, Kent, describes itself as the UK’s leading tree house architects. It specialises in creating ‘fantasy castles’ like those for JK Rowling’s children or ‘James Bond-style hideaways’ with luxuries such as under floor heating, wood burning stoves and plasma screen televisions. Prices start at £20,000 for its most basic models, but the firm admits the ‘sky is the limit’ for the final bill when it creates bespoke tree houses for the super-rich. Tree houses are generally considered temporary structures and therefore do not need planning permission. However this only applies if they are less than 13 feet high from roof to base. 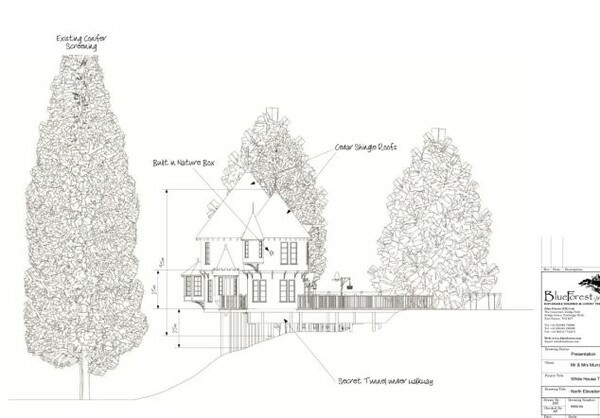 Branching out: A computer simulation of the twin tree houses to be built in JK Rowling's garden, taken from the Edinburgh City Council website. Extravagant; The towers are linked by a rope bridge and can be approached by a secret tunnel hidden underneath a raised wooden walkway. 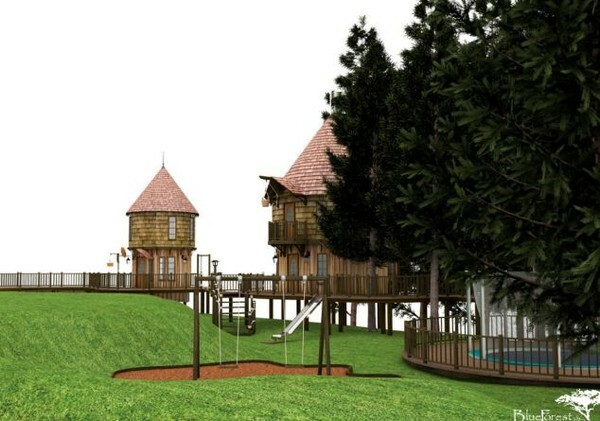 Children's dream: Each wooden tree house is to be built on stilts and boasts balconies, carvings and turrets that wouldn't look out of place in a Potter adventure. 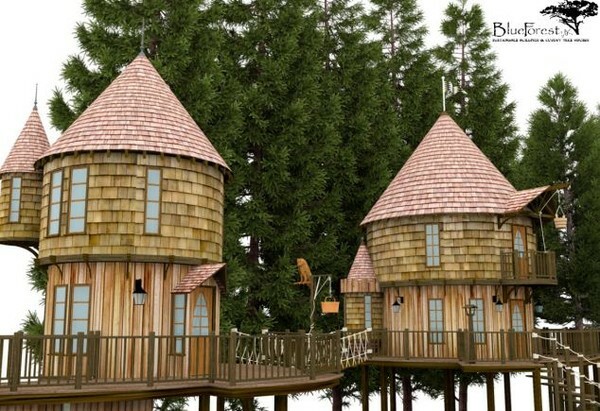 Eco conscience: JK Rowling's tree houses will only be built with timber from sustainably managed forests. 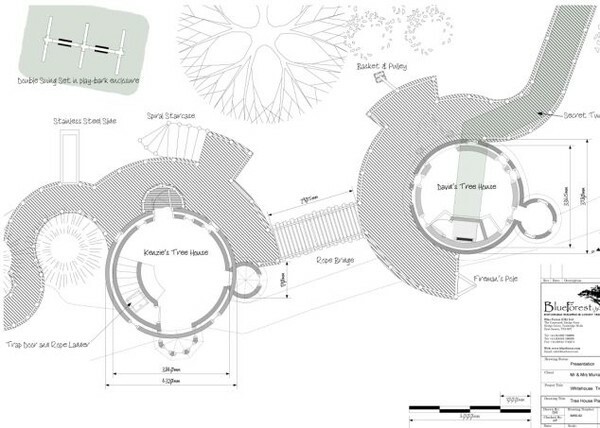 Intricate design: Drawings on Edinburgh Council website for a proposed tree house in the grounds of JK Rowling's Scottish home. If I ever have my own house and a big garden (and the money for it) I would definitely want to build something like this! 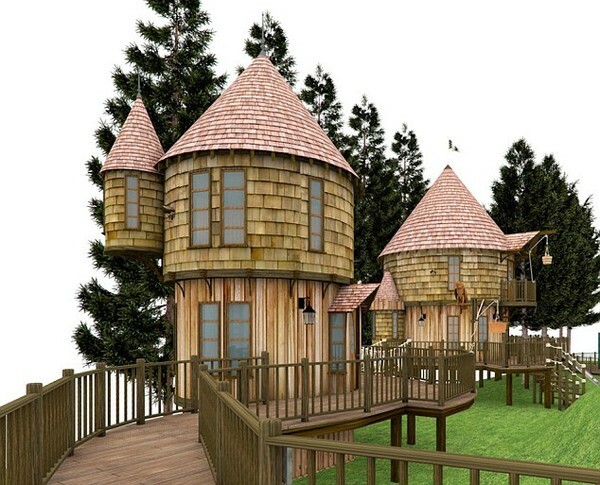 Who doesn't want a Hogwarts-styled treehouse?! I sure do! Hilary Duff's “True” book cover & excerpt revealed. You can read the sample chapter here. Hilary Duff's third novel “True” will be released in 2013. 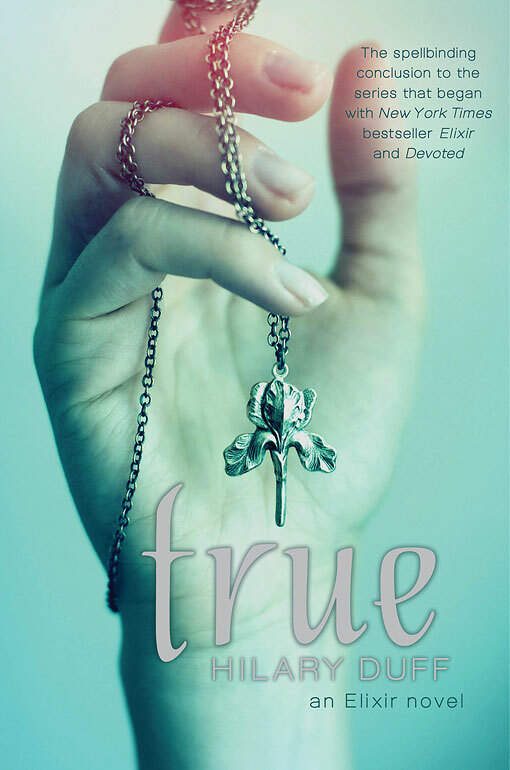 Hilary Duff's third and final novel in the Elixir series is called “True”and it will be released on April 16th, 2013. “True”will be released 3 days before in the US and Canada, on April 13th, 2013. 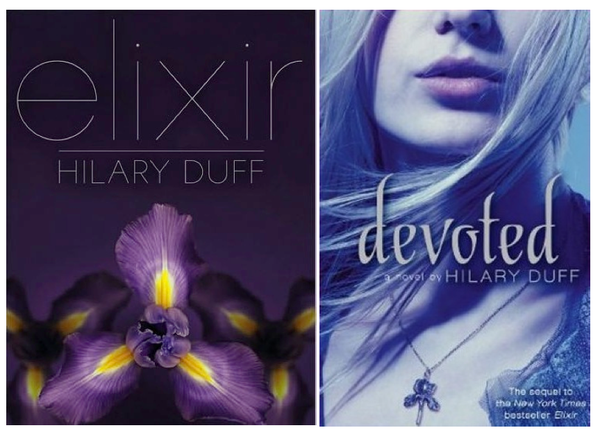 I didn't know that Hilary would write a third and final novel in the Elixir series. I thought that the second book “Devoted” was the last book in the series. But of course I'm happy that it will be a third and final book in the series because I loved it! 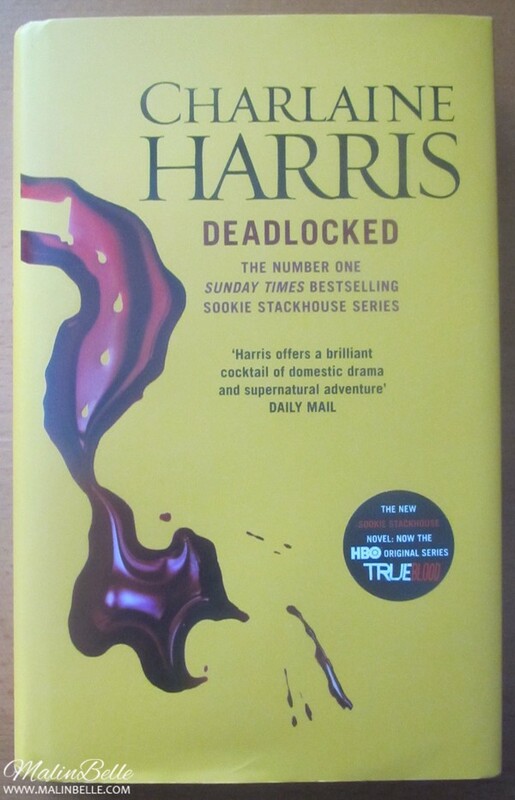 So I really look forward to get to read it when it comes out even though it's over 10 months left! “Sisterhood Everlasting” by Ann Brashares. It's the fifth and last book of “The Sisterhood of the Traveling Pants” book series! I love that book series and they're all among my favorite books, so obviously I had to buy this fifth and last book of the series! I didn't even know that Ann Brashares would write a fifth book so I got really surprised when I saw this book because I thought that the fourth book was the last book. But apparently I was wrong and here is the fifth and last book! The only difference with this fifth book is that it's taking place 10 years later so I guess it's supposed to be 10 years after the fourth book ended. So they're all 10 years older now. I look forward to read this fifth and last book and I hope that it will be as good as the other four previous books. I've unfortunately read a huge spoiler online about the book but I will try to not think about it until I read the actual book. The Secret Daily Teachings & The Magic. “The Secret Daily Teachings” by Rhonda Byrne. “The Magic” by Rhonda Byrne. The Secret Gratitude Book, The Power & flower headband. I've got some of the items this week that I've ordered on Amazon some week ago. I got the first item (“The Secret Gratitude Book” ) on Monday and the two other items (“The Power” book & a pink rose headband) today on Wednesday. “The Secret Gratitude Book” . I actually thought that this was a real book with text in it, obviously, because it looked like it was a normal book on the website but when I got it I discovered that it's really a journal with an introduction and then small quotes in the journal! So I even said to my brother who was here when I got the package: "WTF, it's not even a book!" And when I looked at the reviews on the product page there were more people who had misunderstood that it wasn't a real book. 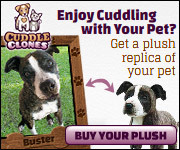 And yes, I should do it a habit to look at the reviews before I buy something in the future. I obviously look at the reviews if I want to buy other things than books but until now I haven't really bothered to read the reviews before I buy a book but after this, I'll definitely do that in the future. Anyway, this book is a gratitude journal where you're supposed to write down what you're grateful for every day. If you're into “The Secret” you know what I'm talking about, if not, go and discover “The Secret” already! I only have the original “The Secret” book so I had to order “The Power” as well! 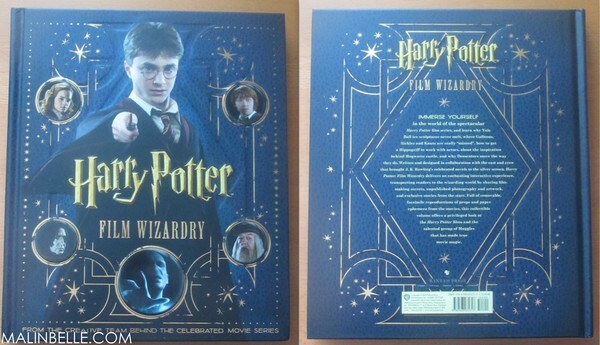 I've also ordered the newest book “The Magic” but it hasn't arrived yet. This headband looked much cuter on the pictures on Amazon UK, which was why I bought it in the first place, but unfortunately, it doesn't look as cute IRL. But since I bought it I'll have to wear it someday! Pottermore is now open for everyone! ❝Get ready to begin your Pottermore journey, because Pottermore.com is now opening to everyone. Over the coming days, we’ll be inviting new users onto Pottermore.com. We’re expecting to be really busy to start with and plan to activate new registrations in a steady stream. This means that you may not get access to Pottermore immediately after you sign up but we will get you exploring the site as quickly possible. After you’ve signed up, you’ll get sorted into one of the four Hogwarts houses, have a wand choose you, and discover exclusive new writing from J.K. Rowling. We’ll be adding lots of exciting new features over the coming weeks and months, so make sure you return regularly to explore and discover all the changes as Pottermore grows. “The Hunger Games” list - What I thought about the books. Read the answers to the questions at your own risk since it contains spoilers. I can't answer the questions and tell you what I thought about the books without mentioning some spoilers so don't read the answers if you haven't read the books and don't want to know any spoilers before you read them. 1: Who's your favourite male character? Peeta. 2: Who's your favourite female character? Katniss. 3: Who's your favourite character at all? Katniss, obviously. I almost always have the main character as my favourite character since it's usually the character we get to know the most and it's impossible to not bond with the main characters, or at least in my opinion. 4: In which District would you want to live? 12, so I could stalk Peeta. Otherwise if I have to think about money and how to survive I guess I would have to pick The Capitol, since they don't have to worry about money or how to survive there like every other district have to. 5: Did you cry while you read the books? When? I didn't cry, but I almost started to cry when I read the last chapters of the last book “Mockingjay”. I'm not going to spoil too much for anyone who haven't read the books yet but I can say that the last chapters are both sad and happy. 6: What do you think: Which character are you most like? Like I wrote on the 3rd question, the main character is usually the character we get to know the most and we don't know everything about all the other characters so it's pretty hard to even think about choosing someone else that you're most like when you don't know that much about the other characters. Except that Katniss has to kill some people, I guess I'm most like her. But I'm also a bit like Peeta too since he really wants to stay the same way he is and he doesn't want to turn into someone he's not. And I'm always myself and I never try to be someone I'm not and I think it's really important to always be yourself no matter what. 7: What would be your strategy in the arena? I would probably run away and hide and hope that everyone else kills each other so I didn't have to kill anyone. 8: What weapon would you choose on the cornucopia? Since my strategy would be to not kill anyone I would probably focus on choosing other things as food and other things that I would need in the arena. 10: Least favourite character? President Snow. 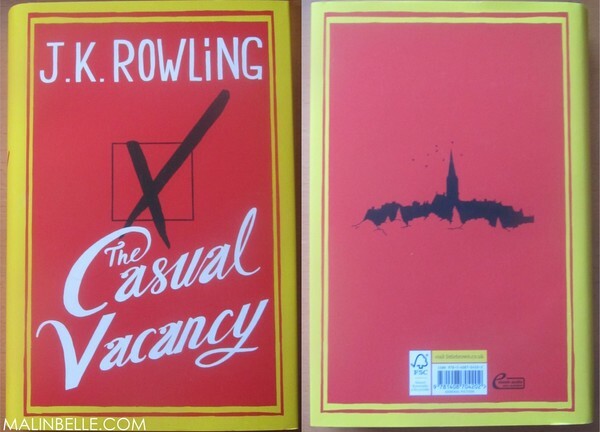 11: Favourite book? I don't know which one is my favourite... I like all of them! 12: How old were you when you started to read the series? I'm 21 years old. I turn 22 later this year. 13: What do you think about the actors? Do they look like you picture them? I don't really picture characters so clearly that some people seem to do when I read about characters in books. I usually just think about the colors and features of the characters. So I think Jennifer Lawrence is a good choice as Katniss since she dyed her hair brown for the part and everyone who has been working with the movie says how great she is as Katniss so I choose to believe them. I think Liam Hemsworth is a good choice as Gale because he's so tall which makes him look older than Jennifer/Katniss and let's face it, he's good looking and Gale seems to be good looking in the books since many girls like him. I think Josh Hutcherson was a good choice as Peeta since I think about him when I think about Peeta now, but Peeta is supposed to have blond hair in the books and they didn't dye his hair really BLONDE which was what I expected him to have. Like I wrote I mostly think about the colors and features of the characters but I approve of all the actors who will be in the movie. After all, Suzanne has approved them herself and she only has good things to say about them all so I don't have anything negative to say about either of them. 14: Worst death? Primrose. I didn't even understand that she died because I read about all the children that died and then something happened to Katniss but I didn't really understand that Primrose actually died until I read about it again some pages after when Katniss thought about it. Of course, Rue's death was also bad since I didn't expect it because I hoped that she would also survive in some way. And I didn't expect Finnick to die either, especially not when he and Annie had got married and everything. I mean, what will Annie do without him? So sad! 15: Your very first thought about the series? When I first heard about the series I just decided that I have to read it since I only heard good things about it. And I become totally obsessed with it right when I started reading the first book in the trilogy. 17: Something that happened in the book you still can't deal with? I think this is a weird question and I don't really know how to answer it. But there was some deaths that I wish didn't happen in the books and some things in the books was really horrible and sad but they're all a part of the story so I don't over-analyze them too much. 18: Something THG taught you? It didn't really teach me anything, but it definitely reminded me that you should really appreciate the ones you love because someday they will be gone. 19: Most beautiful name? Primrose, Peeta. 20: Would you want to live in Panem? Why, why not? No, I wouldn't. Even if I and many else loves the books I don't think anyone in their right mind would want to live in a place like that. 21: Are you happy with the ending? Yes. 22: This or that? (add two objects) ? 23: Saddest moment? When Primrose died and when Katniss got her body destroyed after that. 24: Why did you decide to read the books? Because I had heard so great things about the books that I wanted to read them myself. Plus, I wanted to see the movie and then I had to read the books before I could see the movie. 25: A scene/quote that makes you laugh? I don't remember anything special but Peeta is described as being funny and he did said some funny comments/jokes in the books. 26: A song that always reminds you of THG? Safe & Sound - Taylor Swift. 27: 'Rue's Lullaby' or 'The Hanging Tree'? Both. 28: A character who should survive but died? Rue, Finnick & Prim. 29: Do you have any merchandise? 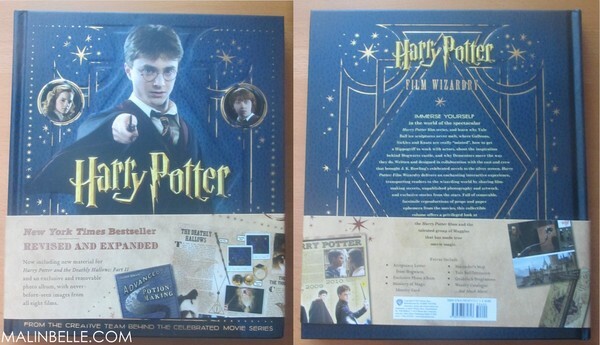 I don't have any merchandise yet (except that I own the books of course) but I will definitely buy some in the future. I already want a Mockingjay necklace!